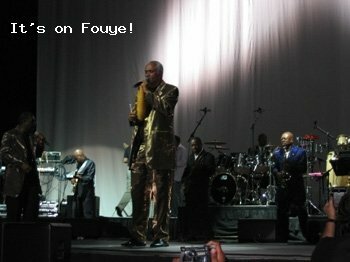 Jean-Michel St Victor, also known as Zouzoul, is a famous Haitian Compas Direct singer. Everyong in the Haitian music industry knows Zouzoul. Jean-Michel St Victor alias Zouzoul is a life long member of legendary Haitian band Skah Shah #1, one of the top 10 most respected music bands in Compas Music. Zouzoul's voice is eternalised in the Skah Shah's hit music "Caroline". Listen to it here. This is a photo of Zouzoul performing at the Haitian Entertainment Awards (HEA) in 2004.